Interviewing – Joy M. Pedersen, Ph.D.
My department has hired 10 new full-time staff members in the past 12 months. I have been involved in many of the searches, and currently am chairing yet another search committee. It’s literally a full time job to review applications, develop interview questions, schedule search committee meetings, contact candidates, organize forums, and run everything through Human Resources. But I can’t complain too much because we’re fortunate to receive funding for these positions, and each new successful hire brings much needed expertise and resources to our student programs and services. Each interview has been an opportunity to see into the life of another professional, learn more about the interpretation of these positions across the field, and clarify the needs and priorities of our department. 1. Take the interview seriously – Submit a complete application packet, dress professionally, research the department, and look at similar models on other campuses. As a candidate, you are being judged the minute you submit your application. A sloppy presentation of yourself on paper or in person can send the message that you may not be completely interested or even qualified for the position. When you put time and effort into preparing for an interview, it is obvious to the search committee that you are committed to getting the job. 2. Ask questions that demonstrate your knowledge of the big picture and the major concerns in the field. Your questions say a lot about you so choose them carefully. Avoid questions that can be easily answered on a website, such as demographic or historical information about a university. A question about the culture of the department or how the department is approaching challenges in the field (such as social media) will tell you more about the reality of the position, as well as communicate to the search committee that you are well versed in current issues. 3. Stay on topic and answer the questions. Interviews can be stressful, and being nervous or unprepared can sometimes lead candidates to lose track of their thoughts, speak too quickly, or get off topic. Practicing your answers, visualizing your ideal interview, and learning meditative techniques can help you prepare for the interview, calm your nerves, and improve your responses. It is also acceptable to ask, “Did I answer your question?” during the interview if you suspect you have missed the mark in your initial response. If you tend to be chatty, try to tone down your answers and monitor the length of your answers. 4. Communicate your passion and how it relates to the position for which you are applying. Our passions are sometimes more obvious when we interact in social settings, but may be less obvious in an interview. I think it’s inspiring when a candidate has committed him/herself to a field and enjoys the work. As a supervisor, I prefer to hire someone with passion and energy who may have less experience rather than a candidate who has more experience but lacks enthusiasm for the position. 5. Expand on answers and give good examples. You want your answers to be concise, but not too short. You still need to provide the search committee with enough information to evaluate whether you are qualified for the position. Be prepared to give examples of how your previous experiences and education have prepared or qualified you for the job. Opt for a short description of an experience that demonstrates your skills (like when you solved that challenging problem or resolved a sticky conflict) rather than a laundry list of accomplishments. 6. Establish a connection. We all want someone who can get the job done, but we also want someone on our team who is likeable and approachable. Smile, make eye contact, and be aware of your body language to convey confidence and warmth. How you say it can be more important than what you say. 7. Elude to ways you would take the position to the next level – either directly or indirectly, without suggesting that you would change everything. New hires bring fresh energy, creativity, ideas, and perspectives. I enjoy hearing about tools, processes, or approaches that candidates may bring to the team. However, be aware that not everything is broken and some traditions are deeply rooted in the institution. It’s appropriate to share your ideas, with the caveat that whether or not they are adopted depends on many factors. 8. Speak with confidence about your abilities without bragging or using laundry lists of accomplishments. 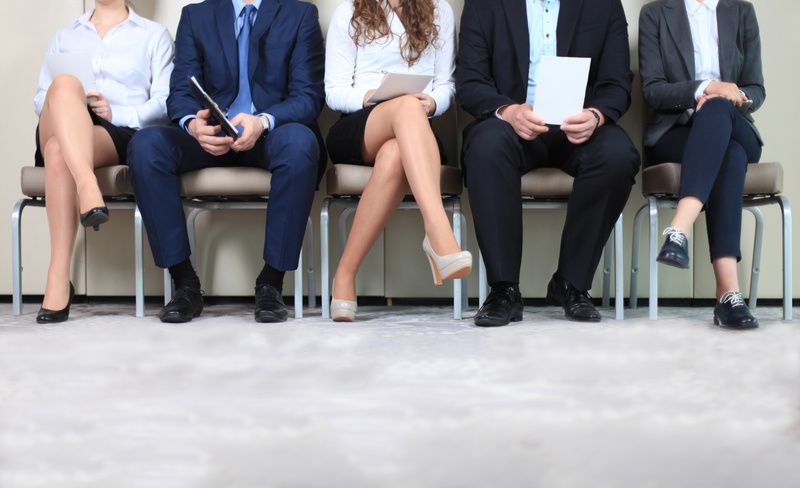 Confidence is one of the top traits employers are looking for in new hires. You may have all the skills, knowledge and abilities, but if you lack confidence it shows in the interview. People with confidence know themselves – their abilities, weaknesses, priorities, values, and goals – and can talk about their successes without having to overcompensate for their faults. 9. Limit your use of common phrases like “I think…,” “That’s a good question…,” and “I guess I would…” These phrases are often used to fill the space when a candidate is thinking about his/her response. The problem with these filler words is they make a candidate look insecure and unprofessional. Instead of filling the space, just be silent. The silence conveys the message that you are giving thought and consideration to the question. 10. Speak articulately about your experiences, previous employment, projects, and successes that qualified you for the position. Focus on specific examples that translate to the position. Describe the skill sets and how you used those skills. Identify the achievements you want to share before the interview and weave them in where appropriate in your answers. How do you recruit the most qualified candidates to your institution?